Larry arrived to the Sultanate of Oman with his wife, Kelly, in September of 2000 to teach at the Sultan Qaboos University. The combination of the laid-back atmosphere, kindhearted local people, potential for exploration and great weather, drew him in and he fell immediately in love with his new home. Back in those days there was just a very small core group of climbers – even smaller than today! 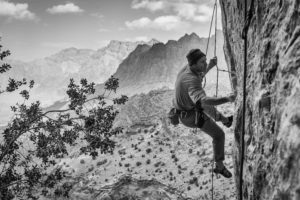 Less than a handful of bolted routes were equipped at the time, yet, the community was motivated and welcomed him with open arms. From that moment he was hooked, and he dropped his other pursuits – cycling and kite surfing – like that loose flake you tossed during your last ground-up mission. 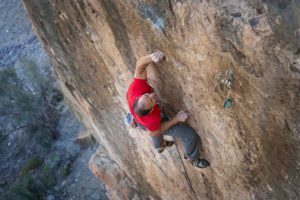 After a hiatus due to injury – that darned loose flake – Larry returned to climbing and by then a few dozen sport climbs had been equipped in the country. Riding the momentum of their predecessors, Larry and a small group began to expand the sport climbing scene. 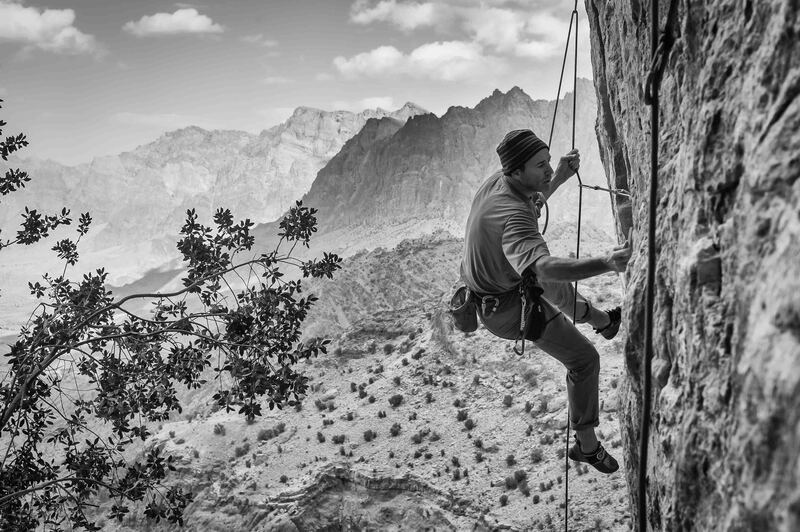 For the past few years Larry has been at the forefront of beefing out Oman’s crags and chances are, if you’re climbing a very good moderate route, especially at Hadash, you should thank Larry. In fact, we have worked so hard recently that the recently published guides cannot keep up! Since arriving to Oman in 2008 I have also stayed. A lot of that is because the warm, open and motivated community vibe still lives thanks to Larry.